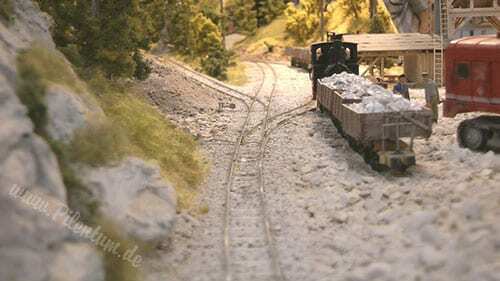 Most model railroads do not contain limestone. This is very rare and also quite expensive to create. Kudos to the model train enthusiast that came up with such an exciting layout. This layout was built as a narrow gauge system or 0’s scale. Here’s show the operation of the railway and it’s a model of a quarry. This one is best to still now exists in Germany. Someone makes a wrong imagination that this model train layout is only a diorama. There are six narrow gauge steam locomotives in this layout.